For forty years, Whitaker House has been dedicated to proclaiming the gospel to the lost and flooding the world with life-changing literature of eternal value. Shortly after committing his life to the Lord, founder and president of the company Robert E. Whitaker, Sr. felt burdened to share the gospel with others and soon started up a book-distributing venture, all while continuing to work as a manufacturer representative. The distributing business grew quickly, and Whitaker eventually sold his first business to devote all his time, energy, and money toward the new distributing venture. Shortly after this, another change came when author Russ Bixler asked if Whitaker could publish his book. 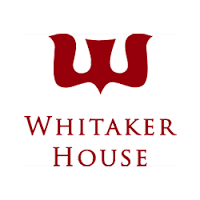 Whitaker agreed and, through God’s grace, a successful publishing venture, now known as Whitaker House, was begun. Whitaker House and its sister company Anchor Distributors have continued to grow over the years and have been blessed with a modern warehouse/office facility just east of Pittsburgh.